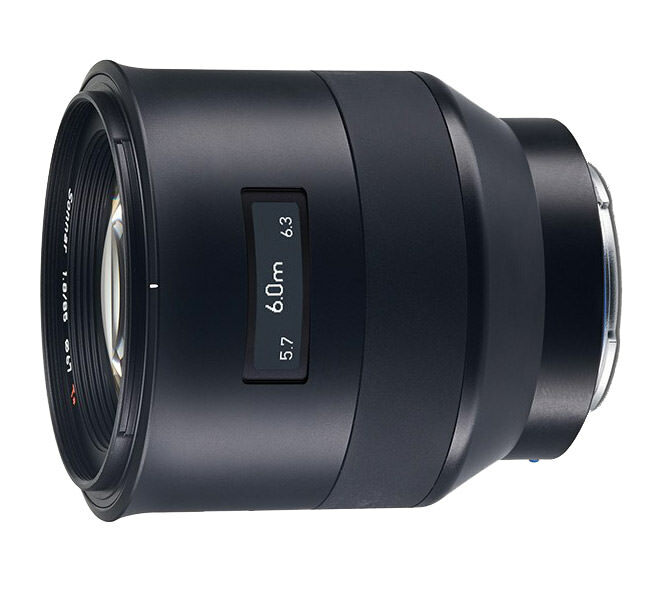 Another big announcement from last week was Zeiss Batis 25mm f/2 and 85mm f/1.8 lenses for the Sony FE mount. Compared to Zeiss Loxia lenses, the new Batis line offers autofocus capability and has a similar focus-by-wire motor as in native Sony/Zeiss lenses. The exterior look of the lenses appears to be similar to the high-end Zeiss Otus lenses, but there is one major difference – the focus scale on the lens is OLED, the first-ever lens to feature it. While I am personally not as excited about the 25mm f/2 lens due to the fact that Sony has already announced the Sony FE 28mm f/2 lens (which you can convert to either a 16mm or a 21mm lens with a conversion lens), the 85mm f/1.8 is something that I cannot wait to try out. Sony has had a major hole in its lens line with the lack of a fast 85mm prime, so the new AF-capable Zeiss Batis 85mm f/1.8 will definitely satisfy many portrait photographers out there. With its $1,199 price tag and Zeiss quality, this will surely be a popular choice among Sony shooters (the 25mm f/2 will sell for $100 more). Let’s take a closer look at these lenses. The Zeiss Batis 25mm f/2 has a Distagon design with a total of 10 lens elements in 8 groups. Since four of those elements are aspheric, you can expect this lens to have very little aberrations and the sharpness should be very good. This lens will feature a 67mm filter thread, will weigh approximately 335 grams and will sell for $1,299. At this point there is not much else to know about this lens, as Zeiss said that MTF and other lens-related data will be published sometime in June. The 85mm f/1.8 Batis is of the Sonnar optical design, with a total of 11 elements in 8 groups. Nothing is said about aspheric lenses, which as you might already know, actually make bokeh look onion-shaped. So if the lens design does not include those, the bokeh of this lens should be excellent. Again, not much to talk about due to absence of MTF and other lens-related data for now, but I assume that the lens will look pretty good wide open, most likely peaking in sharpness around f/4-f/5.6. Another important feature is image stabilization, which the 85mm f/1.8 comes with. Just like the 25mm f/2, the 85mm f/1.8 is also dust and weather sealed. The Zeiss Batis 85mm f/1.8 will weigh approximately 475 grams and will sell for $1,199. 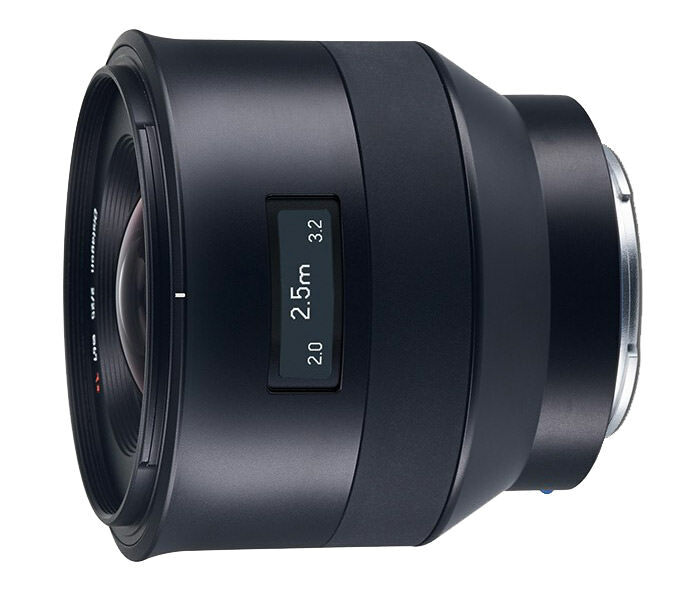 OBERKOCHEN/Germany, 22/04/2015: The ZEISS Batis 2/25 and ZEISS Batis 1.8/85 are the first full-frame autofocus lenses for Sony’s E-mount cameras to be exclusively developed and distributed by ZEISS. This new family of lenses is particularly suited for the use with Sony’s alpha range of mirrorless full-frame system cameras. The two new lenses will be available for purchase now and starts shipping in July 2015. “The Batis family of lenses is the first time we have launched autofocus lenses for Sony’s full-frame E-mount cameras which are ZEISS through and through – in other words exclusively developed and distributed by us,” says Dr. Michael Pollmann, Product Manager at ZEISS Camera Lenses. The Sony alpha full-frame E-mount system, which currently consists of the 7 family of cameras, is one of the most innovative camera systems on the market and is becoming an increasingly popular choice for professionals and people considering switching from DSLRs. “The ZEISS Batis lenses are our way of acknowledging this trend and providing creative and ambitious photographers with the expert tools they need,” says Pollmann. The lenses are easy to use yet offer professional performance, so they are a sound investment for amateur photographers, too: “Camera sensors are constantly evolving, and so are photographers. Our Batis lenses are the perfect answer to these changing trends and herald a new era of professional photographers using mirrorless full-frame cameras,” says Pollmann. The ZEISS Batis 2/25 and ZEISS Batis 1.8/85 lenses offer an initial choice of two focal lengths which have proved to be the most popular among users of the system: a moderate wide-angle focal length and a tele portrait focal length. The lenses make optimal use of the camera sensors, capturing every last detail with impressive contrast and high resolution. As well as offering fast and reliable autofocus, the lenses also support manual focusing, allowing users to choose the best option for each individual situation. The sleek, modern design – with smooth surfaces reminiscent of the high-end ZEISS Otus lenses – emphasizes the superior quality of this new lens family and gives the Batis lenses an unmistakable look and feel. “In response to numerous requests from customers, we decided to equip the Batis lenses with a display showing the focus distance,” says Pollmann. For the demanding photographer, the cutting-edge OLED display is a major highlight – an innovation that is currently unparalleled in the world of camera lenses. The electronic display is easy to read even in low light. It shows the distance between the camera system and the focal plane as well as the depth of field. ZEISS Batis lenses are also furnished with dust and weather seals, allowing them to be used in even the harshest weather conditions. The fast, quiet AF drive with linear motors keeps the subject crisply in focus even when shooting in hectic situations. In addition, a handy, rubberized focus ring supports manual focusing, providing the user with full creative freedom when it comes to image composition. Both ZEISS Batis lenses have a ‘floating elements’ design which compensates for aberrations of the lenses at different distance settings. The two lenses also offer a standard filter thread with a 67 mm diameter. ZEISS Batis lenses support all the operating modes and functions of the current range of E-mount cameras. The ZEISS Batis 2/25 wide-angle lens has ten lens elements in eight groups and draws on the ZEISS Distagon optical design. Four of the lens elements are aspheric on both sides and five are made from special types of glass. The aspheric lens design ensures consistently high image quality over the whole image field and a sharpness that extends right to the edges of the frame. The moderate 82 degree image angle combined with a minimum focusing distance of 0.2 meters makes this wide-angle lens the perfect choice for architecture and landscape photography and many other applications besides. It encourages the user to make creative use of depth of field which can often yield surprising results, particularly in close-up photography. The ZEISS Batis 1.8/85 is a moderate tele lens which offers 11 lens elements in eight groups and features the ZEISS Sonnar optical design. The lens elements are made from special types of glass and designed to ensure superior image quality. The ZEISS Batis 1.8/85 is a particularly good choice for wedding photography and portrait shots, offering the high speed which provides plenty of creative scope to bring out the main subject. Thanks to its optical image stabilization, the ZEISS Batis 1.8/85 can capture outstanding images even under difficult, shifting light conditions. The ZEISS Batis 2/25 and ZEISS Batis 1.8/85 lenses will be available for purchase now and starts shipping in July 2015. The recommended retail prices are €1,092 or US$1,299 (excl. VAT)* for the ZEISS Batis 2/25 and €1,008 or US$1,199 (excl. VAT)* for the ZEISS Batis 1.8/85. Will light leaks resulting from wear and tear from the OLED distance scale cause problems in images? Jon, no, I would not expect any light leaks from the OLED scale.. I doubt Zeiss would overlook a potential issue like that. Those lens look amazing ! Do you know if it’s the case ?